When your engine requires it to be changed. This may seem like a bit of a cop-out answer on our part but realistically it is the most accurate answer that can be provided on the subject because there are so many varying factors which can affect the lifespan of the oil in your engine that it is impossible to prescribe a one-size-fits-all answer. The first place you should check to see when you should be thinking about changing your oil is your owner’s manual. Many drivers will have heard that oil should be changed every 3000 miles and for some older vehicles this will be the case but the advances in lubricant technology in recent years has generally meant that the lifespan of motor oils has increased to the point where some vehicle manufacturers recommend more than double the miles traditionally prescribed for your oil change. Most manufacturers give an estimated guideline as to how long the oil will last in your vehicle under ‘average’ conditions. This guideline usually applies to OEM spec oil which is provided by the manufacturer running in a temperate climate with sustained usage. The important thing to remember is that the lifespan of your oil will be different in every vehicle because of how it has been driven, the conditions it has been driven in, the condition of the vehicle, and the oil itself that is in your engine. It is for this reason that you should check your oil regularly so you can get a good feel for how your engine handles its oil. Inspect the oil for signs of debris. If there are lots of these particles then it is definitely time to change the oil. 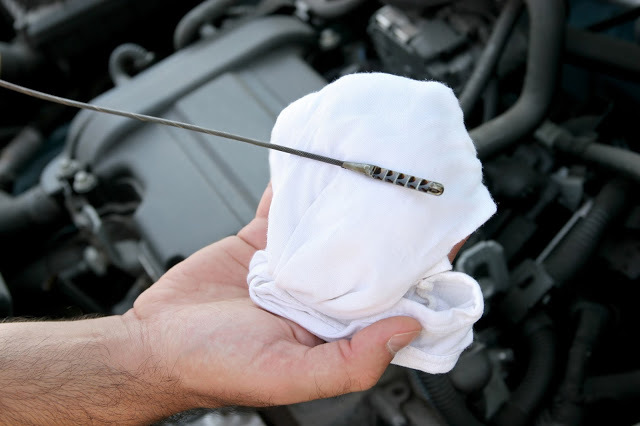 Checking your oil regularly will mean you will have more of a chance of spotting when something isn’t quite right. For more information about abnormal oil textures and what they might mean read this article. This article is for general information only and is not intended as a diagnostic tool. Always consult your vehicle owner&apos;s manual before attempting any maintenance on your vehicle. If in doubt seek advice from a Professional Mechanic or from the Granville Technical Team.